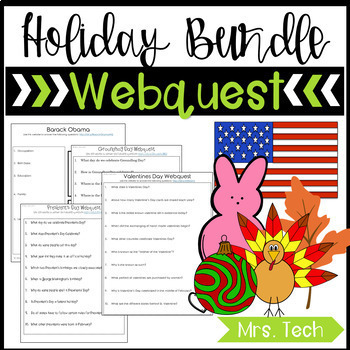 This webquest bundle includes all 20+ of of my holiday webquests. Click on any of the links below to preview some of the webquests that are available in the bundle! *UPDATE: NOW ALL webquests have been updated to include access to a Google Slides version of this product!